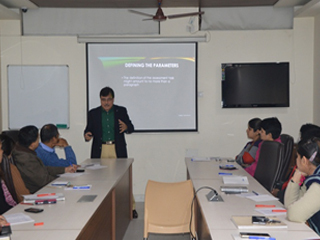 A faculty development programme on‘Authentic Assessment Methods’ was held from 5th January to 9th January, 2016. 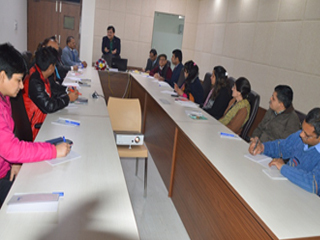 It was conducted by Dr. Nitin Seth, who is a senior faculty of MBA Programme at Auckland Institute of Studies, and Visiting Professor of AUT University, Business School, and Unitec Institute of Technology, Auckland, New Zealand. He is currently also the Executive Director, Global Unilink Limited, New Zealand for providing consultancy in digital business strategy and coordinating international business student project. His work experience spans for over 34 years both in academia and industry while working for Indian and international companies at senior positions in marketing and international business. A widely travelled person to USA, Europe, Gulf countries and Asia-Pacific region for international marketing of various products. His research interests are in the areas of digitalisation of business, cross-cultural studies, and international business and marketing particularly customer experience. 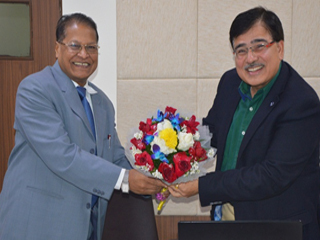 Programme began with a brief introduction of the speaker by Dr. Sumesh Raizada, Dean (PGDM programme) and coordinator for the event. Dr. Nitin Seth commenced his session with a short film and used audio – visual presentation to support his thoughts.Concepts of Authentic assessments, their relevance and why they are essentially required in present academic environment, were explained to the participants.Faculty were given detailed presentation on the design, implementation and evaluation for the authentic assessment of learners. 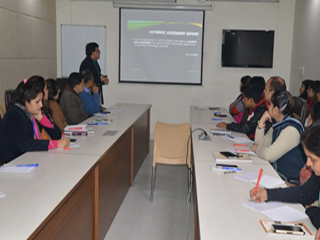 It was emphasized that innovative and critical thinking of the students should be explored and encouraged. At the end, Dr.Seth discussed a sample authentic assessment with the faculty participants.